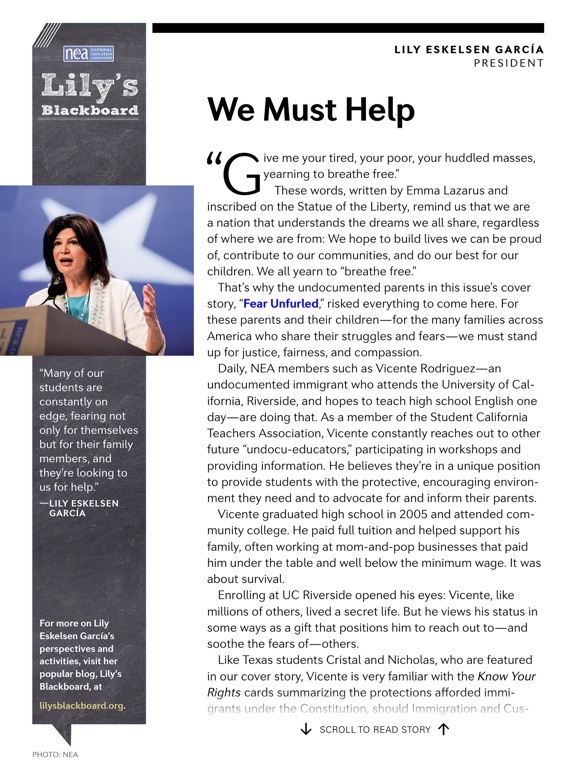 The National Education Association (NEA), the nation's largest professional employee organization, is committed to advancing the cause of public education. 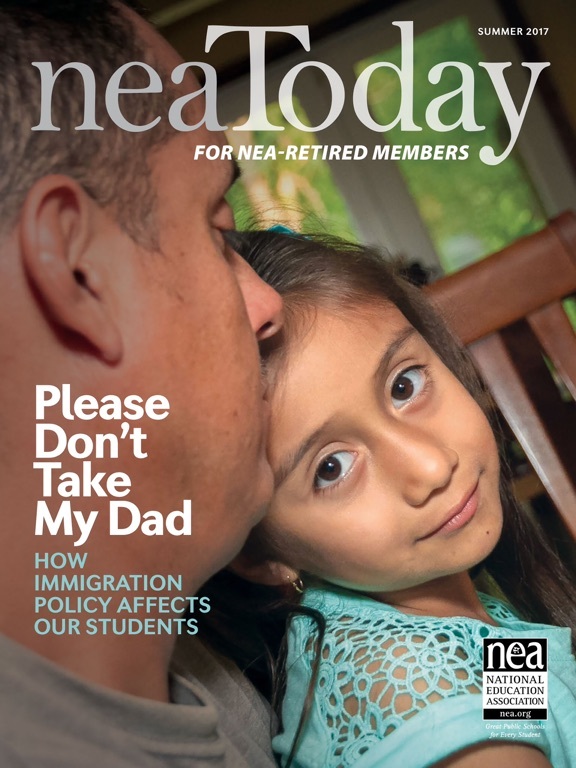 NEA's 3 million members work at every level of education—from pre-school to university graduate programs. 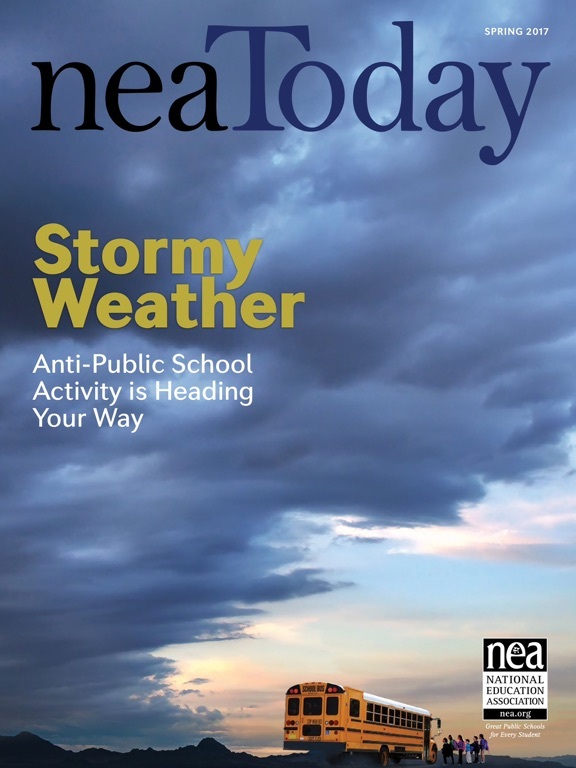 NEA has affiliate organizations in every state and in more than 14,000 communities across the United States. 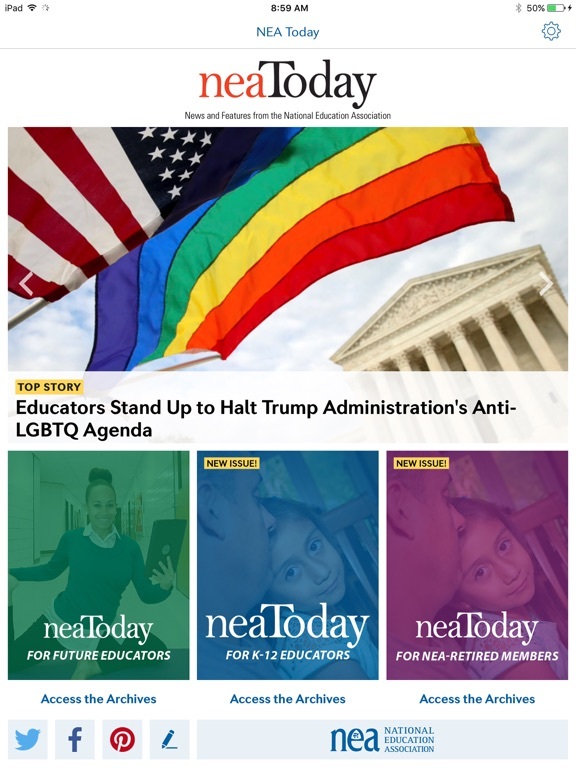 The app edition of our flagship publication, NEA Today, delivers all the public education news and opinions found in our magazine, plus exclusive interactive and multimedia content not available anywhere else—from videos that take you deeper into our stories to additional content not available in the print edition. We will continue to develop, expand, and improve this application. Feedback and ideas are appreciated. 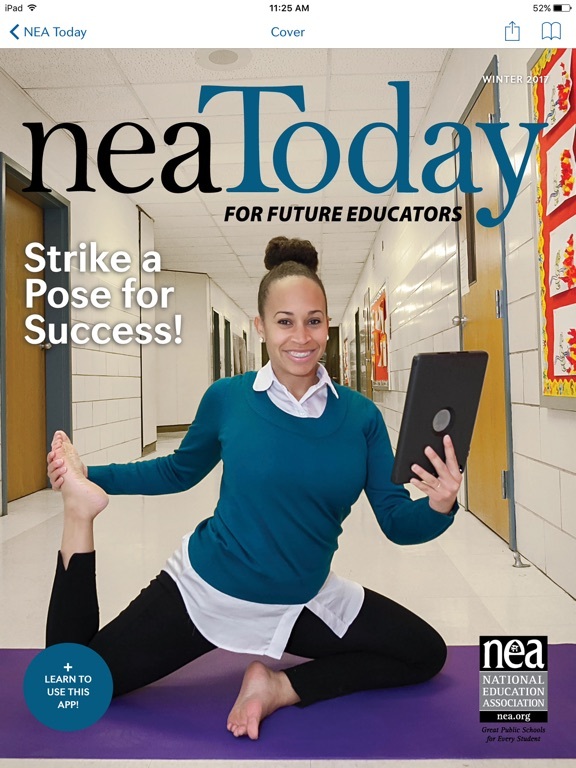 This update to the NEA Today app brings new functionality including the ability to search all articles, improved navigation functionality, as well as the ability to download content for offline viewing.